Dorothy Ann Simpson Roberson, age 78, died Tuesday, January 29, 2019, at the Allen Center at Holiday Hill. Funeral service will be held Friday, February 1, 2019 at 2:00 p.m. at the Coleman City Cemetery Pavilion with Bro. Don Harmes officiating. Interment will follow in the Coleman City Cemetery under the direction of Stevens Funeral Home. 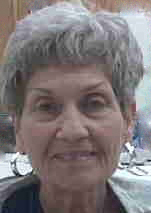 She was born Dorothy Ann Simpson on March 10, 1940, in Coleman, a daughter of Lewis Simpson and Ruby Schoonover Simpson. She grew up in Coleman where she also attended school. She had lived in Brown County since 1976 and was an LVN in area nursing homes. In December 1990, she married Harold Roberson in Brownwood and he preceded her in death on December 23, 2017. Her passion was painting and she especially loved to paint with pastels. She also enjoyed sewing and crocheting. She was a Christian. Survivors include one son, Charlie White and wife Sharon of Dripping Springs; one daughter, Elizabeth Campbell and husband Jerry of Coleman; one step-daughter, Roybn Roberson and husband David of California; one step-son, Hal Roberson and wife Jodie of Leander; eight grandchildren, Dustin White, Michelle Campbell Maple and husband David, Matt Campbell, Stephanie Campbell, Cassie Roberson-Hull and husband Jerry, Lyra Fulk and husband Daniel, Tim Roberson, Taylor Roberson; great-grandchildren, Rowdy White, Kyson, Maple, Kensley Maple, Delaney Fulk, McKenna Fulk, and WayLynn Fulk. Dorothy was preceded in death by a son, Billy Don White, a step-son, Sam Roberson, her parents, Lewis and Ruby Simpson, her husband Harold Roberson, two brothers, Ronnie Simpson and Leonard Simpson, one sister, Norma Steffey. Memorials may be made to the Allen Center at Holiday Hill, P. O. Box 392, Coleman, Texas 76834. Visitation will be held on Thursday, January 31, from 6:00 p.m. until 7:00 p.m. at Stevens Funeral Home, 400 W. Pecan Street, Coleman, Texas 76834. Please leave online condolences and memories for the family at www.livingmemorials.com.